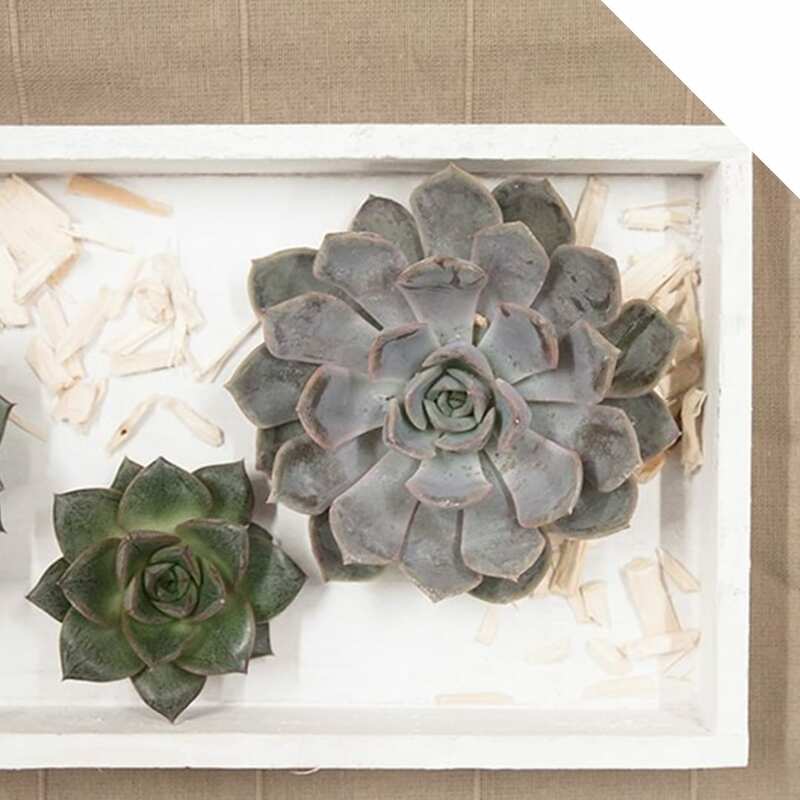 Echeveria is named after the 18th-century Mexican painter and draftsman Anastasio Echeverria. The Spanish king then sent a explorers team to Mexico to map the flora. New plants were painted and signed by Anastasio Echeverria. The Echeveria belongs to the succulent family (succulents). The genus Echeveria itself has about 150 species and is from Mexico and Central America. The name Succulent comes from the Greek word succus, which means juice. 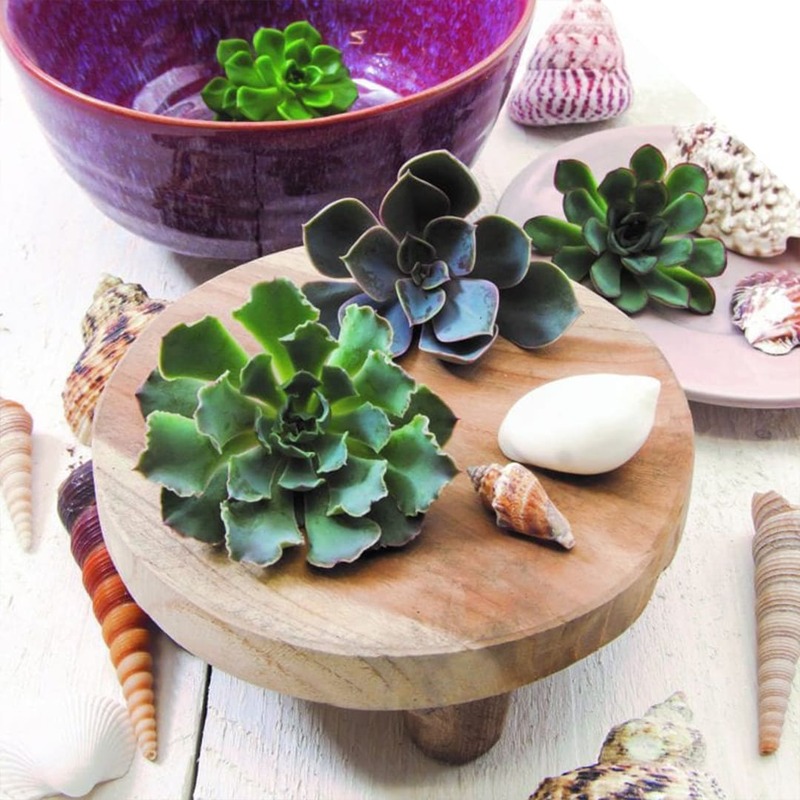 Succulents like Echeveria can store water to survive during dry periods. Echeveria stores water in its thick leaves. 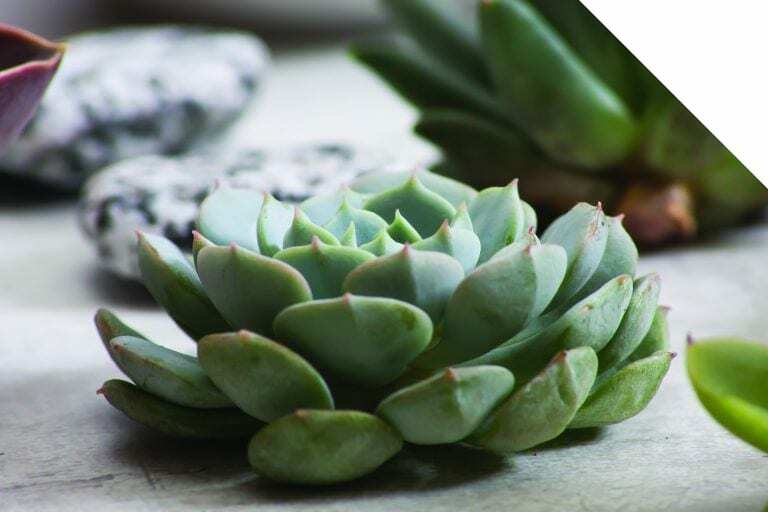 What is striking and characteristic of the Echeveria is the spiral form of rosettes. This makes the product an excellent eye-catcher. The rosettes of the different varieties are beautifully colored from gray to lavender. Some species may bloom. Echeveria flower blossoms come with yellow, pink or orange flowers. In addition to the species with smooth leaves, there are also species with soft hairy leaves. 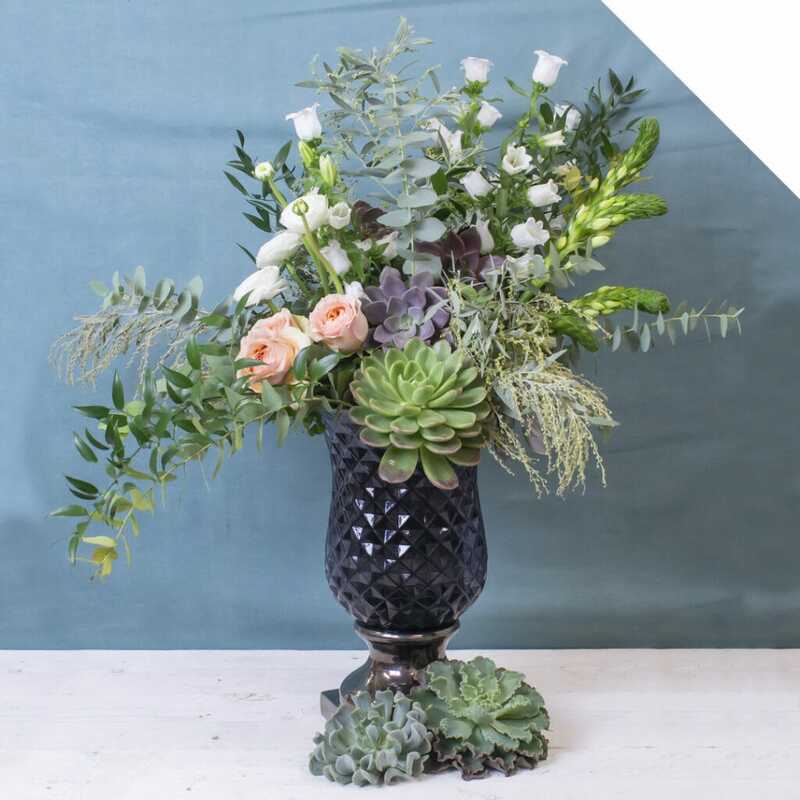 Echeveria can be featured beautifully in various types of floral designs. 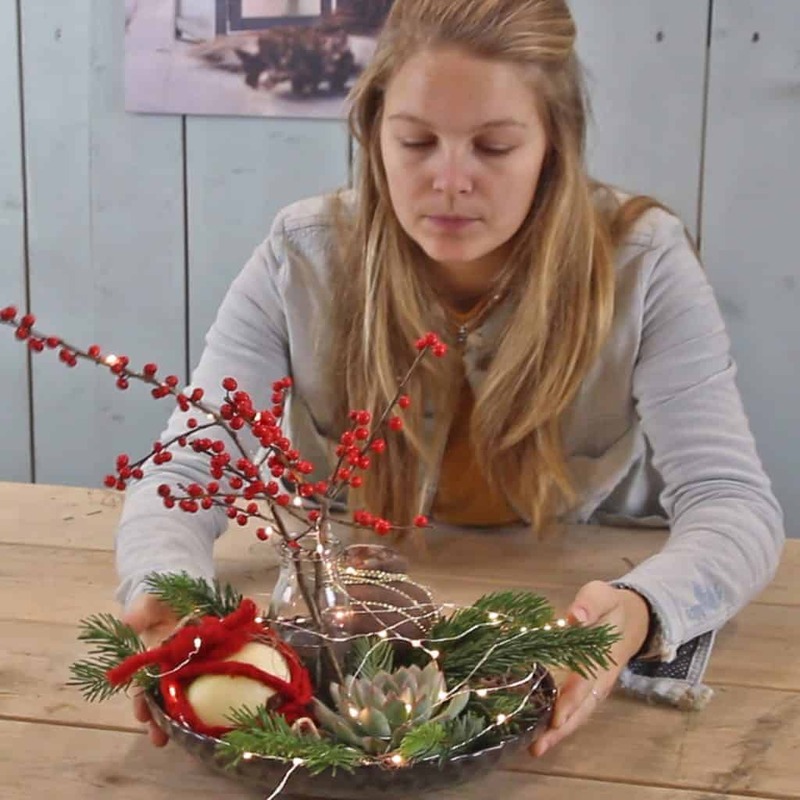 What do you think of the use in a centerpiece that gives your design a sturdy and modern look? Or add a piece of boldness to a bridal bouquet by putting Echeveria in with the help of iron wire? The beautiful gray tones are very trendy! Echeveria does not have to be placed in the cooler. Make sure that no moisture enters the rosette; this can occur rot. If you can use some extra light sparkles at home, create this piece! With the seasonal colors green and red, combine Amaryllis, Echeveria, and Ilex. 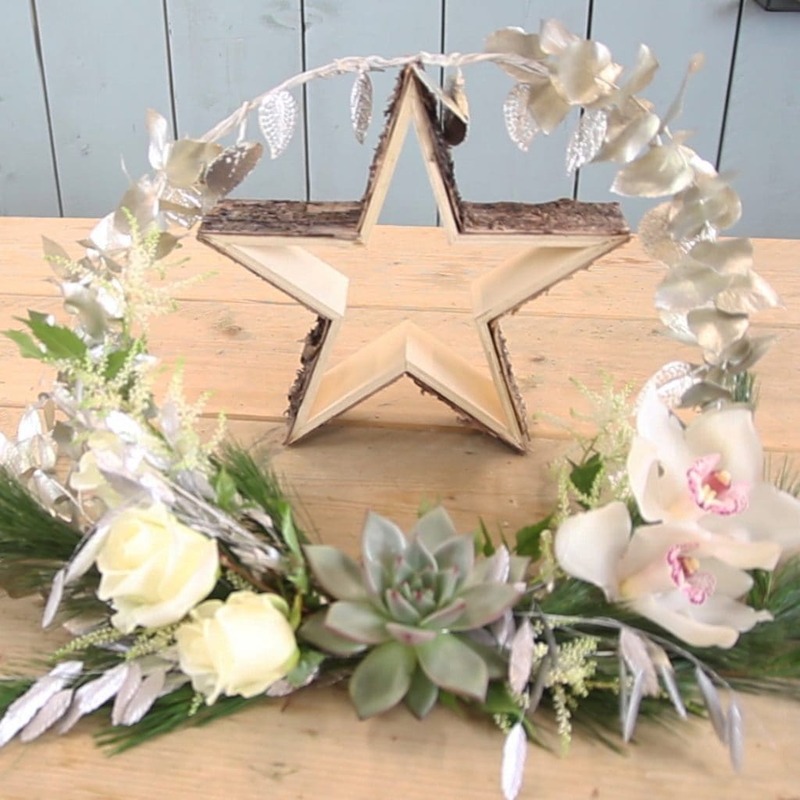 Be inspired by this video tutorial, follow the steps below and create this Luminous Christmas piece.